In an effort to soften the disappointment of a useless or inappropriate Christmas gift, Burger King is inviting customers to trade their presents in for a Whopper burger. The fast food giant will set up a physical exchange at its Leicester Square restaurant on Boxing Day, where the first 500 people to arrive with an unwanted gift will be able to trade it for a burger. Burger King said that its staff would have discretion over the acceptability of the item being offered for trade, suggesting it will resist attempts to game the system by handing over a product worth less than the face value of a Whopper, which is around £4. All items they do choose to accept will be donated to charity. 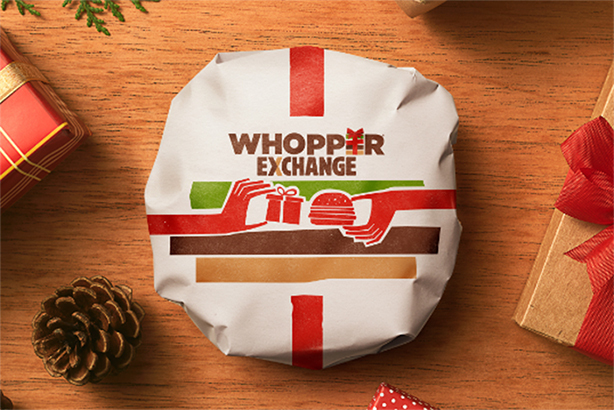 Fans in other parts of the country will have an alternative way to take part, by posting a picture of their substandard present on social media with the hashtag #WhopperExchange, with the first to do this getting a gift card for a Whopper. Has Burger King missed a Whopper(rito) of a marketing opportunity?